Shankar's Magnum opus Ai seems to be getting bigger by the day. The latest update on the project is that the team has erected a China Park set in the southern district of Pollachi to shoot some important sequences. Sources reveal that the production unit has spent a whopping more than 1 crore to build the massive set. which also took six months to construct. Ai, one of the most anticipated films of the year stars 'Chiyaan' Vikram and Brit beauty Amy Jackson in the lead roles. 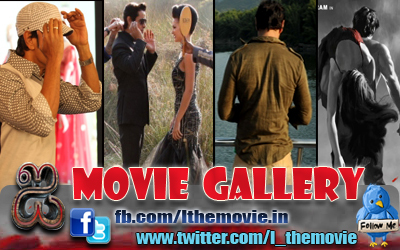 Bollywood star Upen Patel, Santhanam and M'town veteran Suresh Gopi play prominent roles in the film. Ai, produced by Venu Ravichandran under the banner of Aascar Films, is the the final leg of shooting and will reportedly release in August.